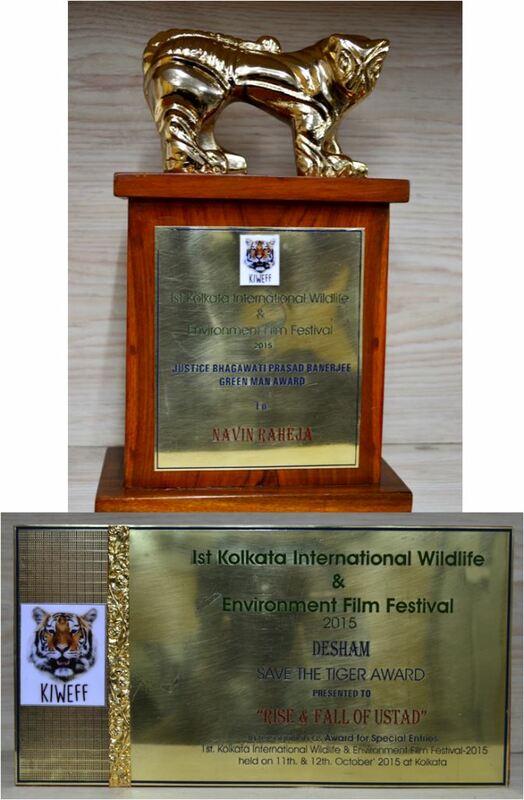 Kolkata International Wildlife & Environment Film Festival announced its line-up of awards for the different categories of films on 12th October 2015. In the film festival, the producer of ‘The Rise and Fall of Ustad’ Mr. Navin M. Raheja was given an accolade as the Justice BP Banarjee Green Man Award.The award was given by festival Chairman Sri Soumitra Chattopadhay, a noted actor. Raheja DevelopersLimited was incorporated in the year 1990 by Mr. Navin M. Raheja, the first generation entrepreneur. Today, the company enjoys a strong presence in NCR and has made its position as one of the largest companies in the Real Estate Industry. The company is one of the fastest growing entities in the realty sector with a difference that offers luxury for reasonable costs, excellent customer care levels with highest customer satisfaction index and the highest imaginable standards for the welfare of its staff, society as well as for the environment.